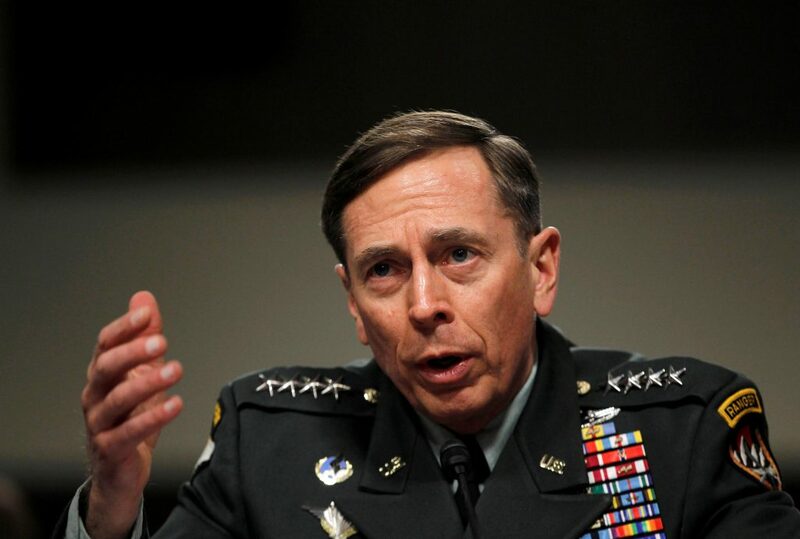 “We’re not going to take a hill, plant a flag and go home to a victory parade,” said former CIA Director David Petraeus of the lengthy war in Afghanistan, in a PBS NewsHour interview airing Friday. President Donald Trump is interviewing at least four potential candidates to serve as his new national security adviser. WASHINGTON — The FBI's recommendation against criminal charges in the Hillary Clinton email matter drew immediate comparisons to last year's high-profile case in which the agency took the opposite position and pursued the prosecution of then-CIA Director David Petraeus. WASHINGTON -- Retired Army Gen. David Petraeus apologized to Congress on Tuesday for sharing classified information with his biographer and mistress, Paula Broadwell. It was his first public testimony before lawmakers since resigning as CIA director.